For years now, scientists have sounded the alarm about a potential nightmare for astronauts on the International Space Station: antibiotic-resistant superbugs that could be even more dangerous in space than they are on Earth. This week, research say they’ve found a way to better prevent such hardy bacteria from growing on surfaces of the ISS. The ISS and other spacecraft in the future could be a great breeding ground for superbugs, for several reasons. For one, spacecraft are tight, crowded environments, where people’s microbial passengers (and those microbes’ swappable resistance genes) are constantly shared with one another. 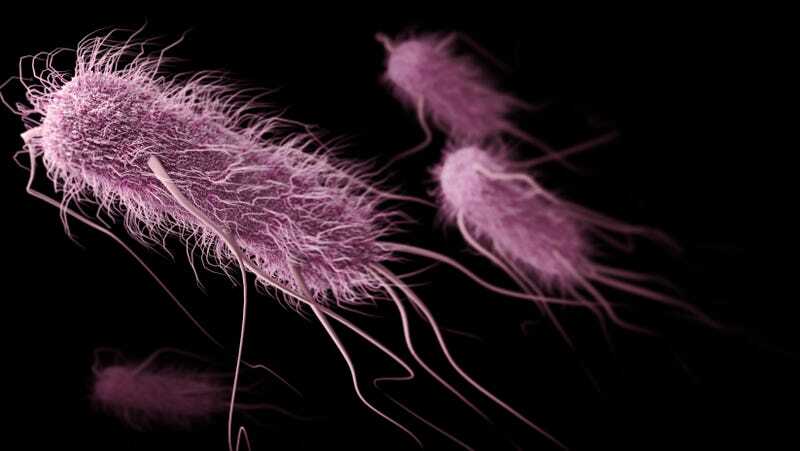 Secondly, studies have suggested that the conditions of space travel itself, such as a microgravity environment and low doses of radiation, could foster mutations in bacteria that make them more likely to become antibiotic-resistant. For instance, some bacteria in space develop thicker cell walls, which make antibiotics less effective at killing them; others can more easily bunch together into impenetrable biofilms. In either case, the greater survival rate of these bacteria may help ensure that more go on to evolve antibiotic resistance. And the immune system of astronauts tends to be weaker in space, raising the risk these bacteria could be dangerous. So far, that risk is theoretical. Scientists have found antibiotic-resistant bacteria on the ISS, and a study last year suggested at least some of these bacteria could cause human disease. But there hasn’t been a Ridley Scott-inspired superbug outbreak, at least not yet. Given the dangers of being sick in space though, where medical supplies are limited, scientists have scrambled to find new tools against contamination that don’t rely on antibiotics. The researchers behind this latest study, published in Frontiers in Microbiology, took a new twist on an old bacteria-killing trick that predates antibiotics: metal. They placed three steel plates on the toilet door of the ISS: one coated with silver, a familiar but waning antimicrobial that bacteria have also started evolving resistance to, another coated with AGXX, a new material developed by German researchers at Largentec GmbH in Berlin, and one uncoated control. AGXX is a mix of silver and ruthenium. Its developers claim that AGXX can more effectively kill off bacteria and other microbes like fungi than conventional silver, while having a lower risk of depositing silver in the environment (the metal in low doses isn’t thought to be a danger to humans, but it can be for marine animals). The chemical makeup of AGXX even allows the coating to self-regenerate, ensuring that its effects last longer. Compared to the uncoated steel of the toilet door as well as the silver-coated surface, AGXX seemed to pull its weight. By six months, there were no bacteria collected from the AGXX-coated part of the door. And by the 19th month, a total of 12 bacterial strains were isolated—still an 80 percent difference from what was collected from the uncoated steel. “AGXX proved to be a long-term efficient antimicrobial, even under the harsh conditions on the ISS,” the authors wrote. Impressive as the results were, though, there were some gaps. Even in the AGXX-coated section, some antibiotic-resistant bacteria were able to grow, probably thanks to an accumulation of dead skin cells and debris that protected them from the deadly surface. And though none of the strains found in any of their tests were likely to cause serious human disease, they were able to still form biofilms and pass along resistance genes. So while AGXX could dramatically cut down the risk of surface contamination in space, even it won’t be foolproof, the authors warn. Grohmann and her team will continue to test out AGXX on the upcoming SIRIUS-18/19 mission, a joint project between US and Russian astronauts meant to stimulate long-term space travel. AGXX is also being tested out in more typical environments as a decontaminant in drinking water and elsewhere.